Hydrographs is currently under repair - funcionality will be limited until complete. The year is 2019 and modeling software can also be user friendly and beautiful. Hydrographs is designed to make focusing on what really matters easy: designing compliant and cost effective stormwater management systems. Hydrographs is designed to save engineers and landscape architects time and resources when designing stormwater management practices and drainage systems. 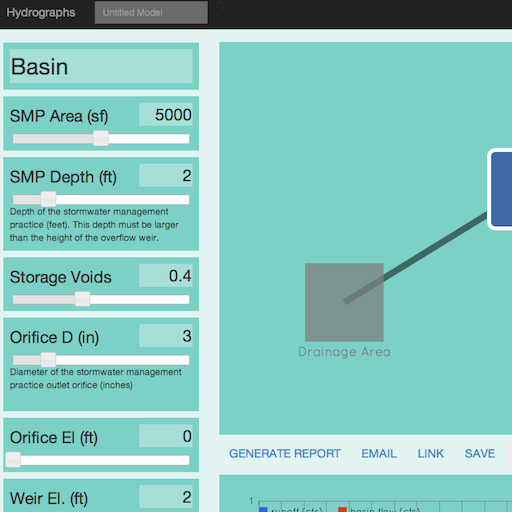 Built for stormwater engineers and landscape architects, Hydrographs organizes stormwater modeling parameters in a clean and intuitive way, useful for both beginers and power users. Runoff and stormwater routing computations are based on the widely used SCS Curve Number method ensuring reliable and compliant results. Quickly browse, search, sort, delete, share, and compare stormwater designs with ease. Pre-to-post development calculations have never been easier for land developers seeking approval from regulators. Gone are the days of printing 900 page reports for submission to regulators. Share models and reports in a clean way catered for efficient review and approval. 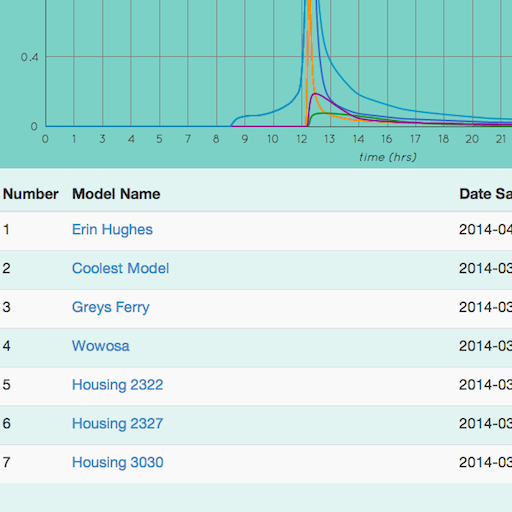 Creating a Hydrographs accounts gives you access to more features and allows your to save and organize as many models as you like. Sign up at Hydrographs today and join a growing community of happy stormwater professionals. 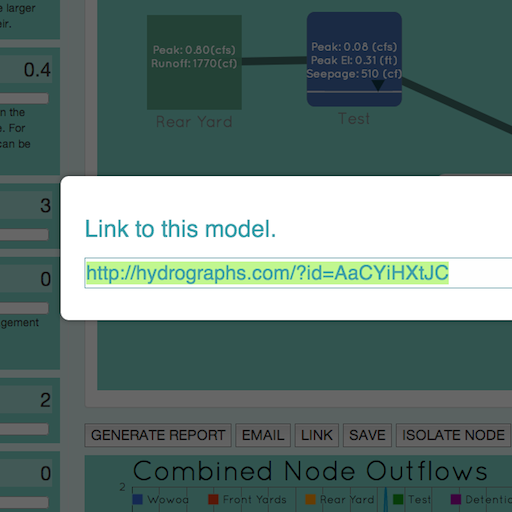 Join our mailing list to get updates about the development of the Hydrographs software.